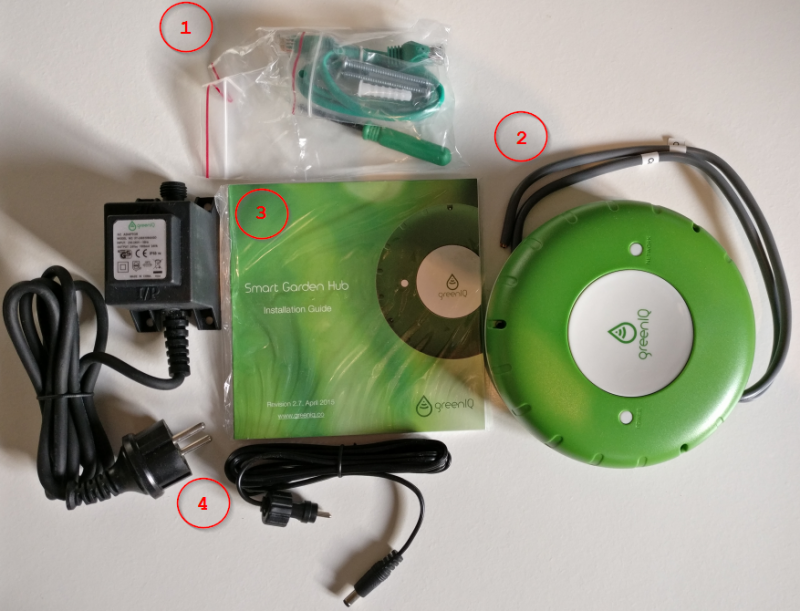 In this post I will describe how the GreenIQ Smart Garden Hub works and how to install the GreenIQ Smart Garden Hub. 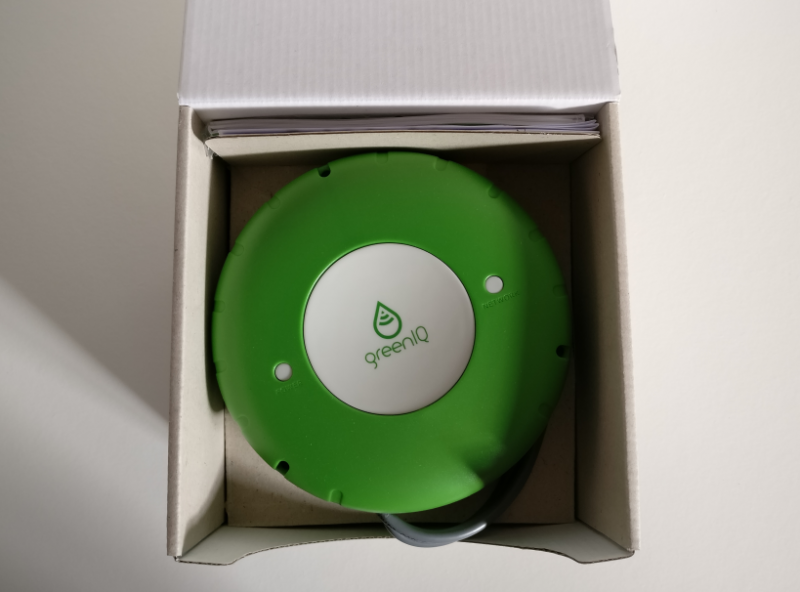 I will also show some images of the the unboxing and what products might be integrated with the GreenIQ, The smart garden hub will lift your automatic irrigation to the next level. It will save you real money. Dimensioni: 15 x 15 x 5,3 cm, 392 G. Compatibile con iOS, Android o Windows Phone. I have got my Smart Garden Hub from a German company DVS Beregnung. The GreenIQ Smart Garden Hub comes in an squared box. Everything is well packed and easy to access. 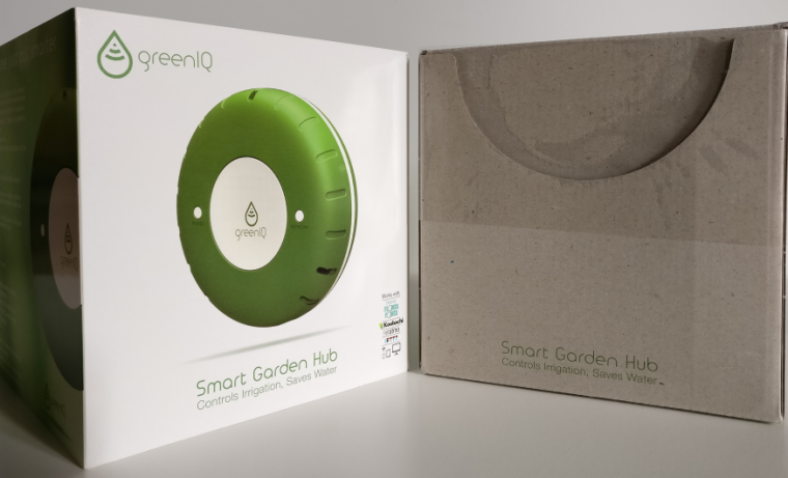 After you have opened the box you will directly see your the Garden Hub. 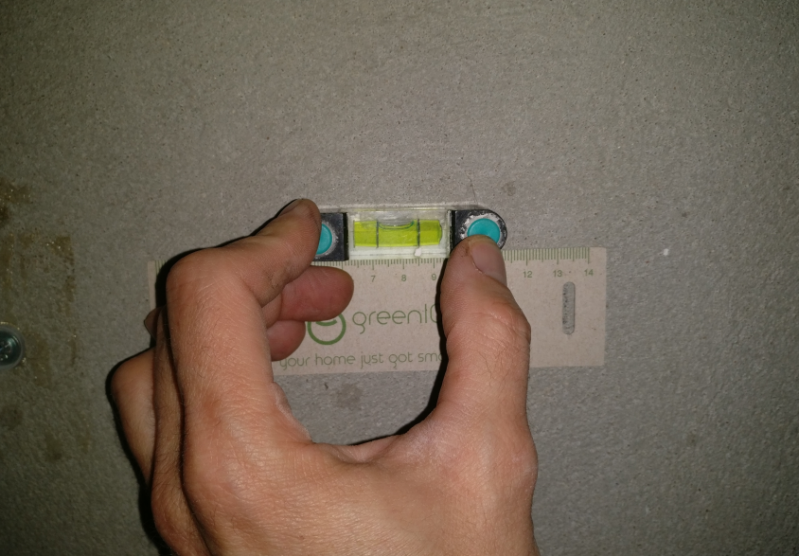 When you lift the GreenIQ you will see the other parts of the delivery. 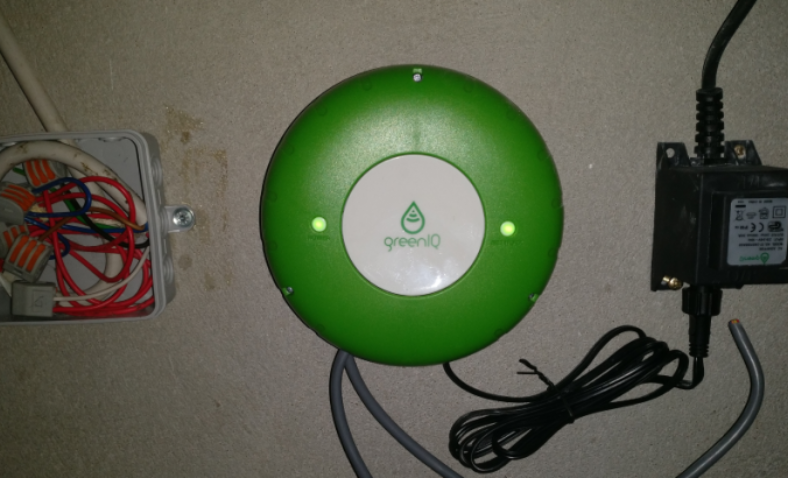 There is a users manual and a installation guide, some labels and a card to access your GreenIQ account. Last but not least ther is a 24Vac power supply. 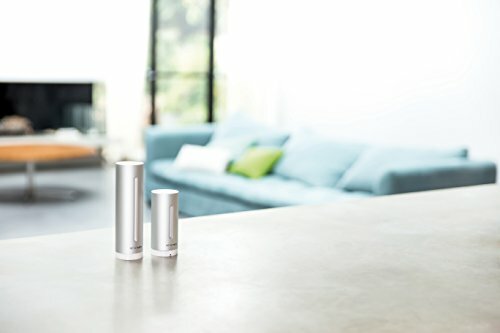 But what does the GreenIQ to make your life a little smarter? 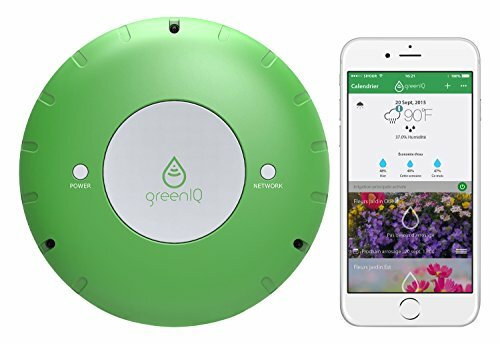 To get a real smart garden the Green IQ offers the following to save you money. You may add up to 6 valves (24Vac). I am using the following hunter valves. 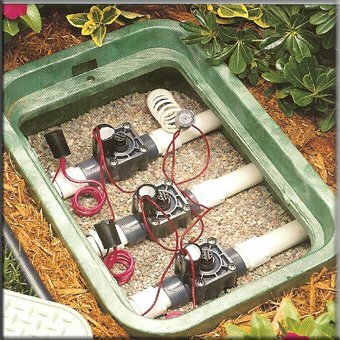 You may use another channel for fertilizing, a 24 VAC pump or similar. Light can also be controlled. 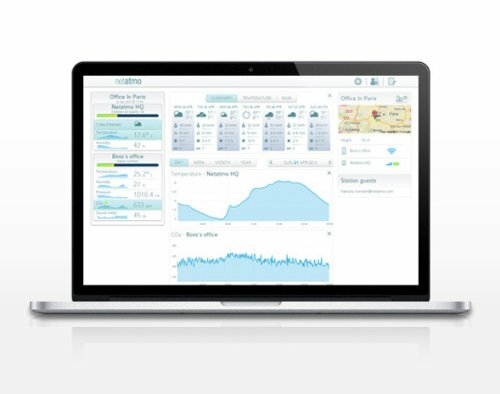 Control your irrigation depended on local weather stations. 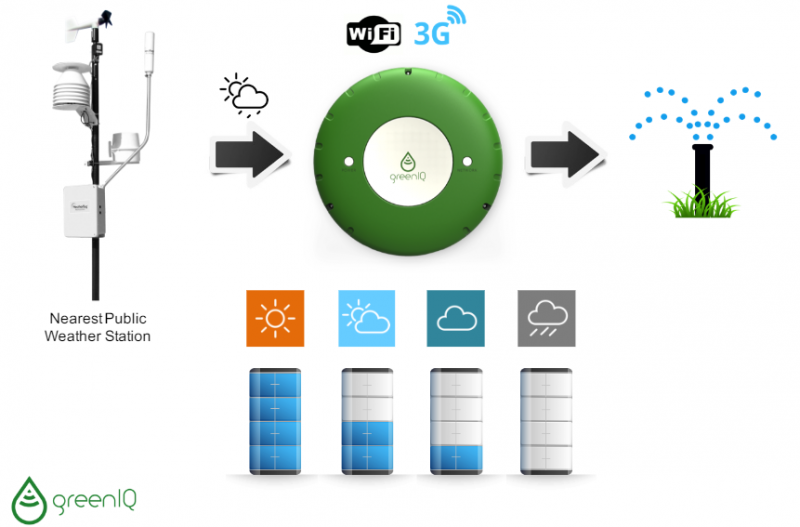 The quantity of water will be automatically reduced to its needs. 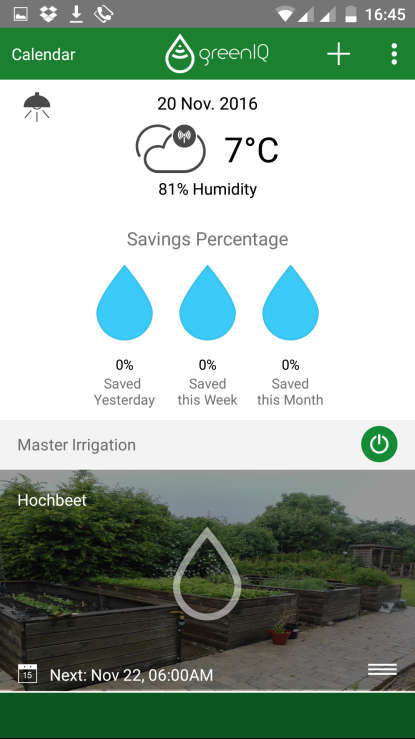 Depending on the past (cloudy), the actual (rain ) and the forecast (awful hot) the GreenIQ Garden Hub will control the amount of water that is used to keep your garden well irrigated. The following info-graphic shows how it works. The system calculates Evapotranspiration (ET). 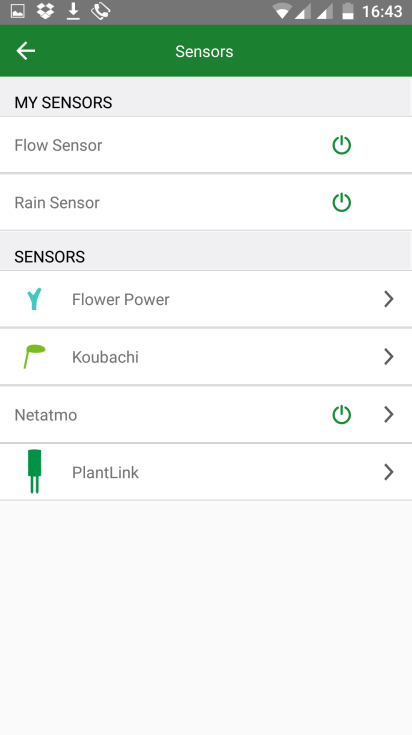 You may also use local sensors in your garden to optimize it. For example a rainbird senor. Si sconsiglia l'utilizzo con dispositivi o circuiti ad alta tensione. 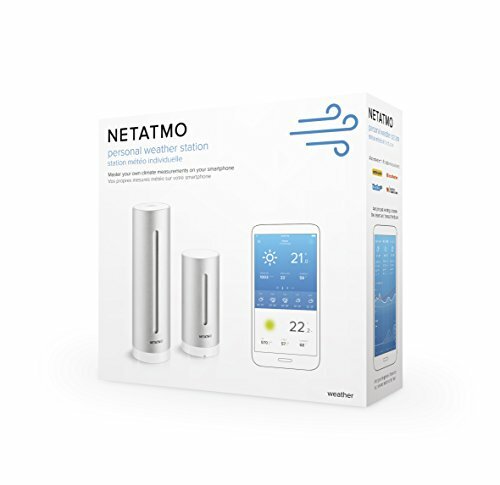 Also the Netatmo weather station might be integrated. 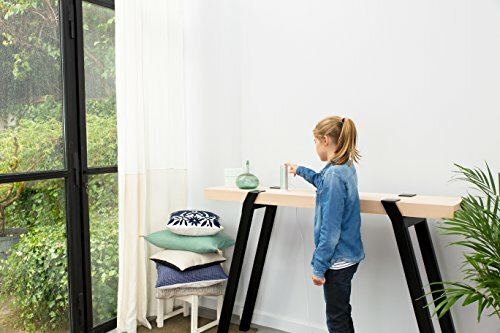 Connect multiple Stations to your smartphone and multiple smartphones to a Station. Lifetime free personal account for your data. 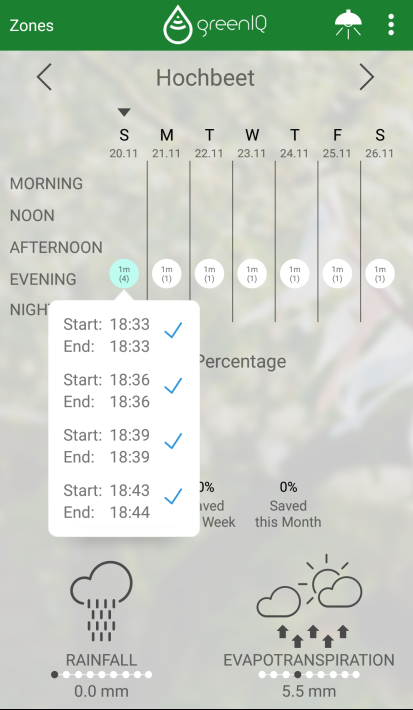 Made for iPhone iOS, Android (4.0 or later) and Windows: access your detailed data from anywhere, at any time. 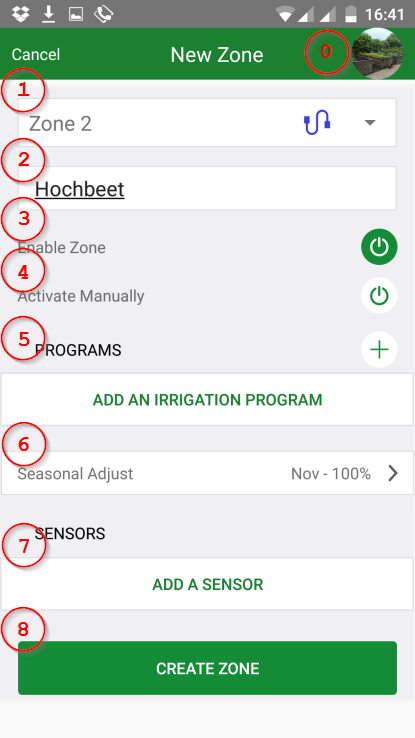 There are safety function, that will prevent irrigation under 3° C.
You may control up to six zones. I do it with our raised bed and two separated lawn areas. The valves will open one after another. The duration might be controlled. Early morning or in the night. Simply put in start and end time. You may use every day, second day like odd/just weekdays and so on. Of course you can simply switch on your zones. Now we will start wit the installation and configuration process. The screenshots are German, but you will know what to do. It is really simple. Before you even start, make sure to access your account. Do this step at first! Simply install the app or use your Mac/PC browser. 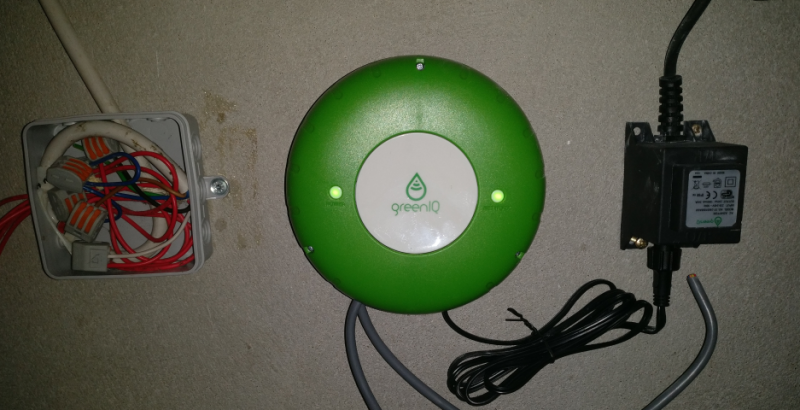 Call https://greeniq.net/. Allow the app to identify your location. Activate your GPS module. Put in the a name and password of the card with your access data. Now you need to put in your Name and eMail. Accept licence agreement and if you would like to receive updates also select the last check box. Now your ready to go one step further. 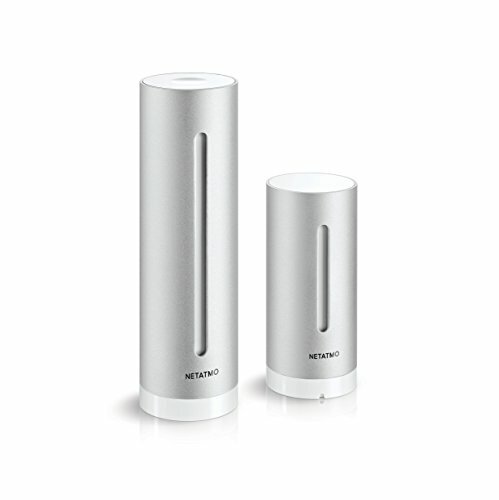 Installation and Configuration – WiFi with hot spot. Simply follow the Installation via Hotspot. That is easy. Isn’t it? 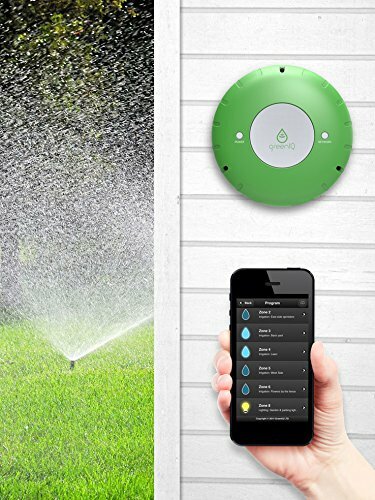 Now you will need to do assembly of the valves and the GreenIQ Smart Garden Hub. Choose a location that match the tech. spec. of the manual. 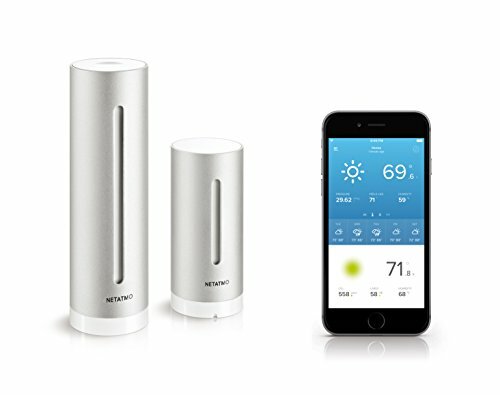 For example temperature between 0° – 40° C, correct power supply a good WiFi signal. Remove the top case of the greenIQ and mount your Garden Hub with the screws and dowels of the delivery. My GreenIQ is near my valves. Otherwise you will have to use longer wires. Now you will have to connect the wires of your valves with your GreenIQ Smart Garden Hub. Remember to use the correct 24VAC valves! 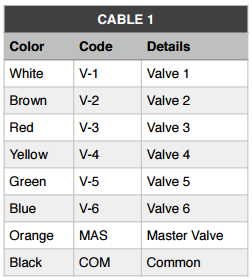 For wiring of the valves you will use cable 1. You will find 8 wires. There will be six different colors for the different zones. 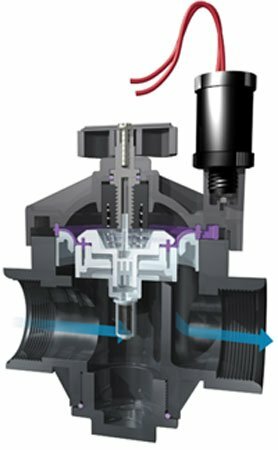 There is also an orange one for the main valve and a black one (GND). After wiring is finished you may test the zones and switch your valves. There is still a wrong table in the installation guide (Revision 2.7, April 2015). The installation guide will show. But the app will show. So you will see the wire of valve 1 should be white. But the color of the zone is red. To make it easy. Wire 1 is zone one. 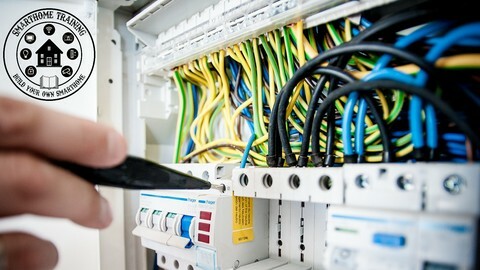 So you will connect the red wire to your first zone. 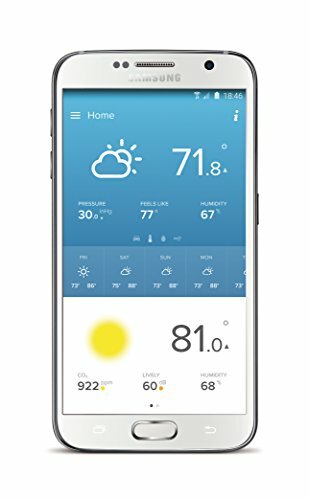 You will see the weather of your location. 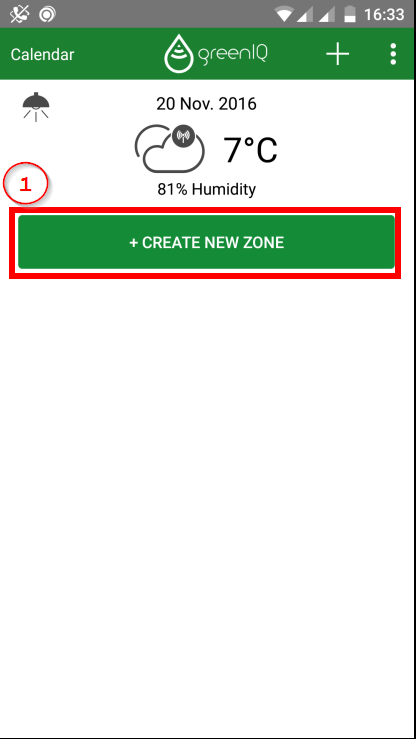 You have to click Create “Create New Zone” or the plus on the top. In the zone you could take a picture (0) of your irrigation zone in the garden. After that you have to choose the zone (cable). Choose a name (2), enable the zone (3). You may test your zone first of all by activating it manually (4). If everything works fine, choose a program. 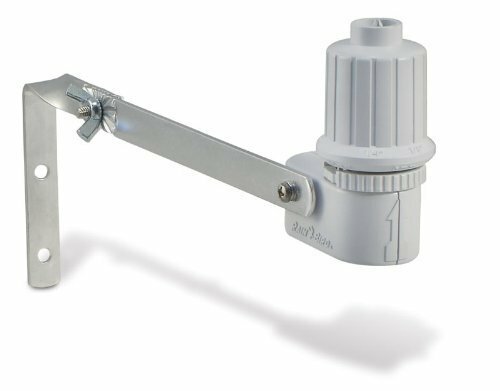 You may use a seasonal adjust or sensors for your zone. If everything is like desired, click Create Zone. 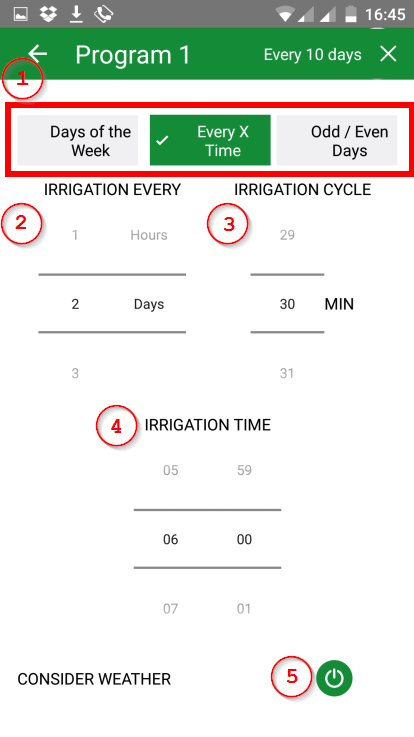 As already mentioned by adding an irrigration program you may chose every x time (1) and tell to irrigate every x day (2) for y minutes (3) on z o’clock (4). Choose (5) to consider the weather. 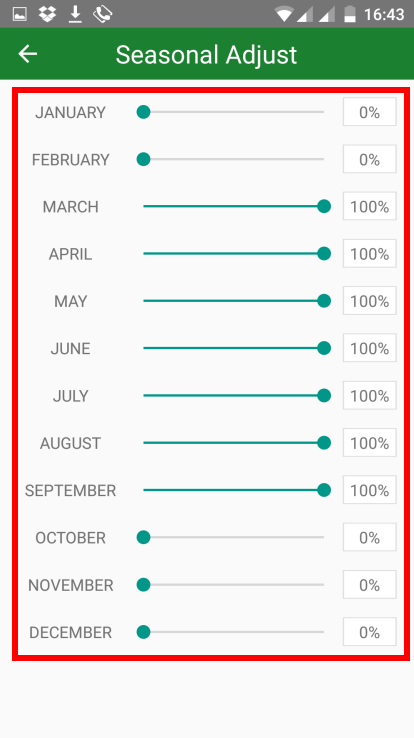 The seasonal adjust will be used to reduce the irrigation time. In my set up the irrigation time is 30 minutes. 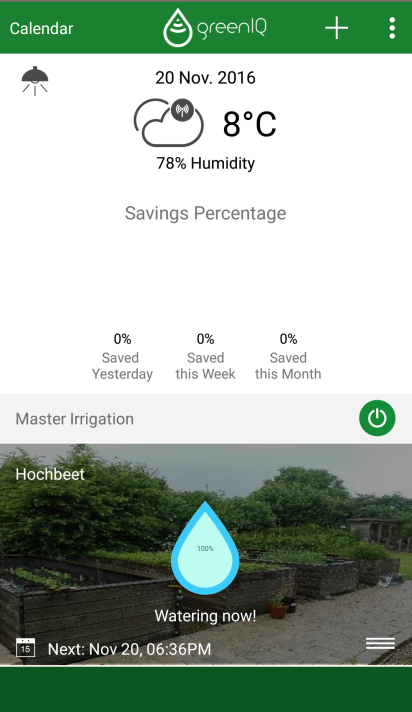 So if i set the percentage to 10%, it will water 3 minutes (30 min. x 10%). The seasonal adjust only works if you do not consider the weather (5). If you want to use sensors, that is no problem. 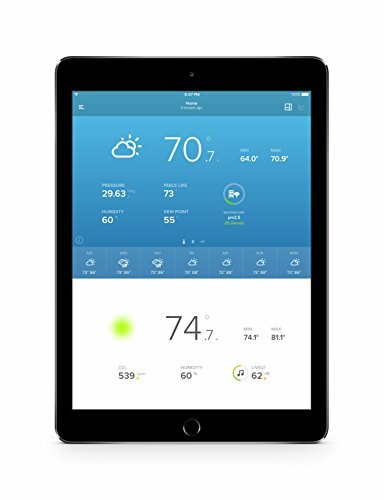 Click “Add A Sensor” but consider wiring if necessary. 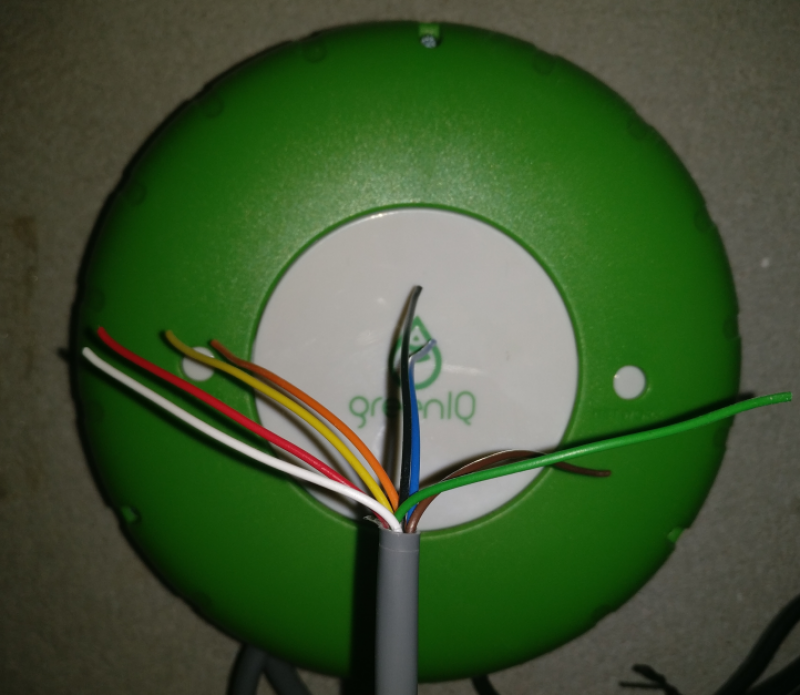 You will need the wires of cable 2 of your GreenIQ Smart Garden Hub. After you created the zone with the button “Create Zone” you are back in the main screen. If a zone is irrigated at the moment you will see the water drop turn blue. 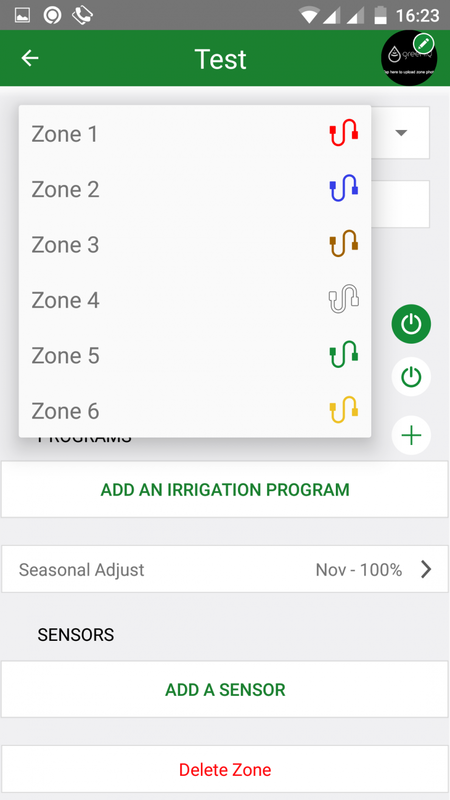 By clicking the calendar you will have an overview of your irrigation time of the single zones. Here some test runs of my installation. I found the installation easy and it was done in a couple of hours. 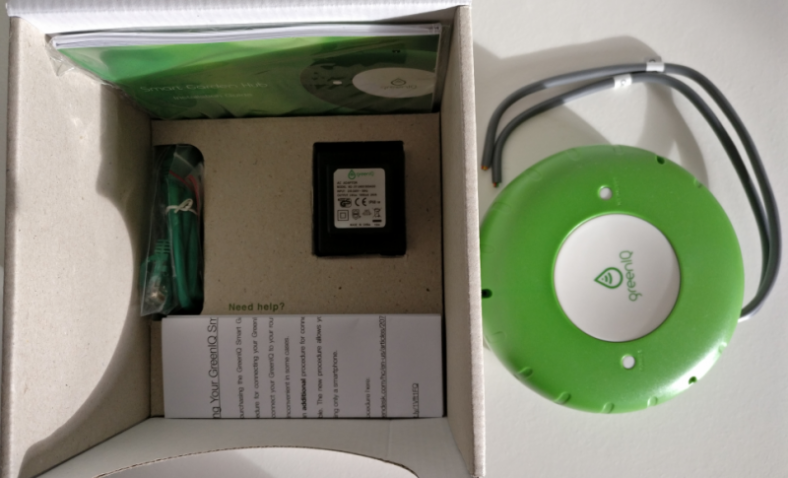 There are still some minor things that could be enhanced, but over all the GreenIQ Smart Garden Hub is a great product and worth the money. And now I am ready for the summer.